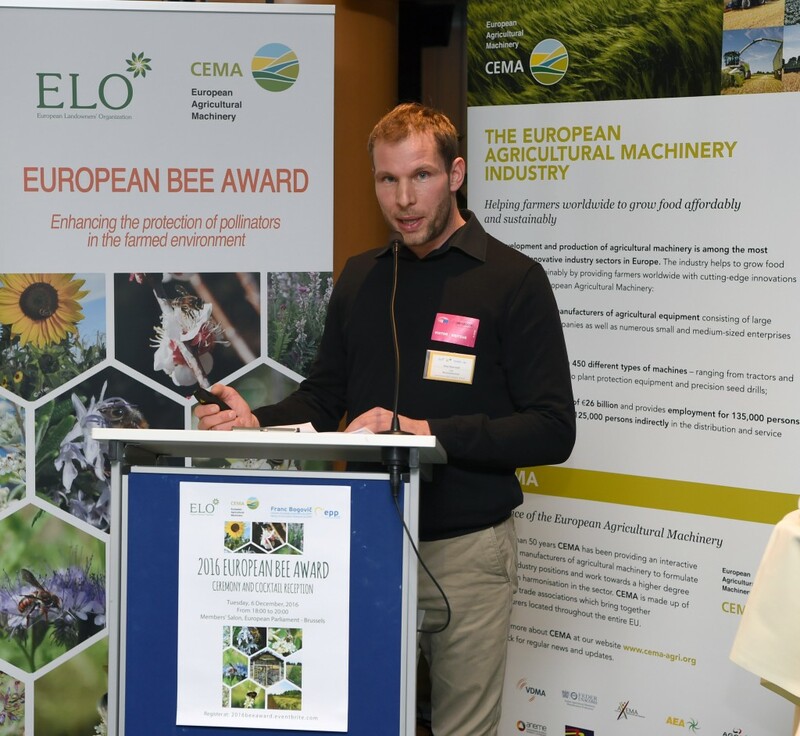 The company BB-Umwelttechnik is the winner of this year’s European Bee Award in the “Innovative and Technological Solutions” category. 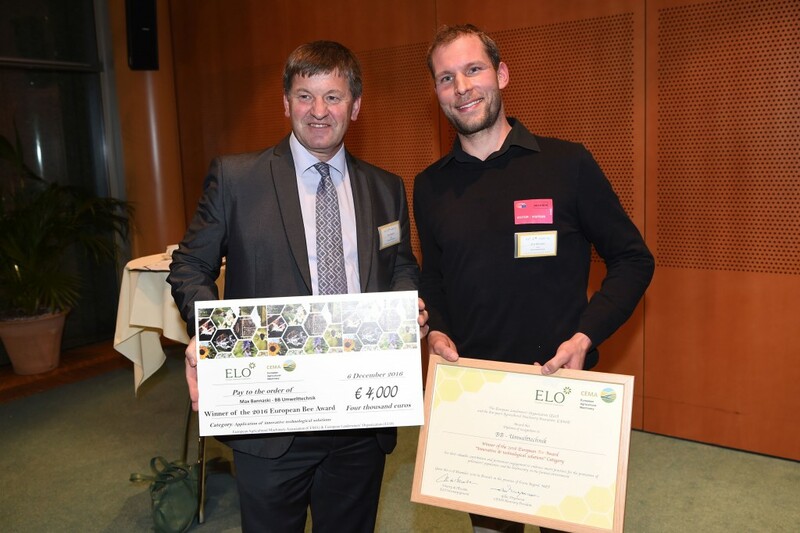 Managing Director Max Bannaski was delighted to be able to receive the award at a ceremony in the European Parliament in Brussels on 06th of December 2016. 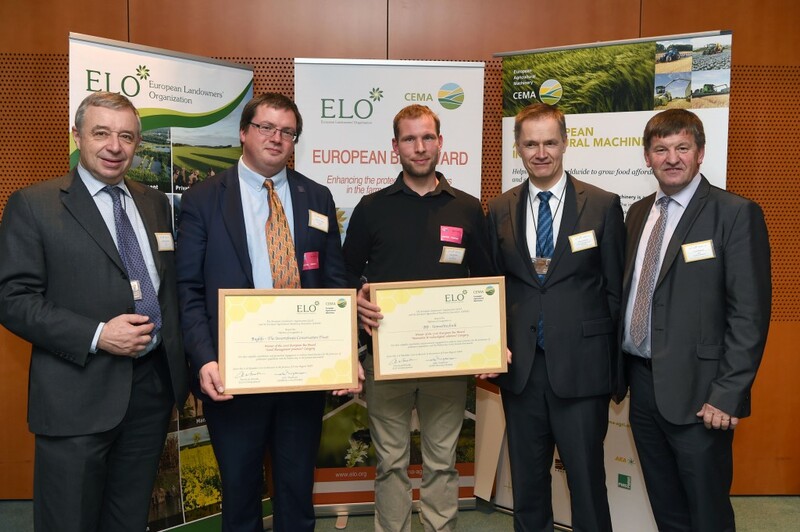 BB-Umwelttechnik with the “Double-Blade Mower” and the winner of the “Land Use Practice” category were able to win against 27 applicants from 17 different European countries. 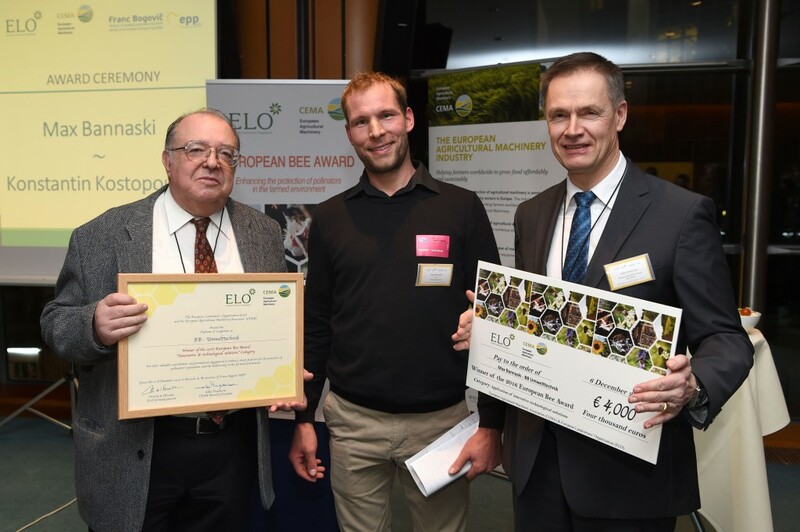 The prestigious European Bee Award has already been awarded for the third time under the aegis of ELO (European Landowners Organization) and the European Agricultural Machinery Federation (CEMA). These associations are awarding innovative projects that support the protection of the habitats of pollinators in farming environments and whose aim is to reduce the impact of agriculture on pollinator populations. This year we invite you again to our field day in Hinterklausmen, Bavaria. The first field day in 2016 will take place on 14th of May beginning 02.00 pm German time. Some impressions of last years field day. While Rottalschau sounds like a local exhibition, this traditional event has developed to the most important agricultural technology fair of Southern Germany. In 2016 BB-Umwelttechnik is exhibiting at Rottalschau for the first time in company history from 09/02/2016 to 09/06/2016. For more information about this event visit the event website. Austrian farming magazine ‘Der fortschrittliche Landwirt’ had tested our double-blade mower butterfly combination back in summer of 2015. Read the full article in issue nr. 21/2015. Read about our Seco Duplex double blade mower in issue 11 december 2015 of belgium dairy farm magazine ‘Melkveebedrijf’.